Simple Rules to Control Your Weight. Controlling our weight is not always an easy task, especially if we don't have a definite strategy when it comes to it. With the amount of today's information about nutrition and dieting it also becomes a lot harder to separate the half truths from the core rules that we should follow if we want to have a healthy weight. Start improving your weight with a few easy rules. Despite the massive amount of information about nutrition and weight loss, it can be relatively hard to know exactly what are the best steps you can take to improve your health and your weight. Because most of us think that we need to make massive changes to be able to get the results we want we are often discouraged when we don't achieve the success we have hoped for in changing our dietary habits. However, it's best not to underestimate the power of small changes as these can become stepping stones that can help us meet more important health goals. Giving up your favorite foods in an effort to lose weight or to maintain it can often lead to a lot of frustrations being counterproductive because it leads to all kinds of negative associations with healthy eating that tend to lower your motivation to meet your goal. The key for enjoy your favorite foods is to be fully conscious about how much you eat. While this might seem like a no-brainer most of us don't take advantage of this simple idea like we should. 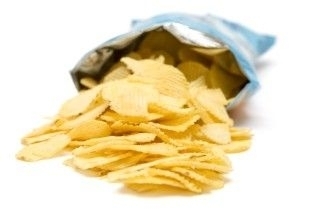 It's very typical for many women to eat chips directly from a bag when they are in the mood for a salty snack. This often leads to overeating as they are not fully aware of the portions they are eating. A better way to enjoy this snack would be from a transparent bowl be cause this gives you a better idea of how much you really eat. Another good idea is to choose a day a week when you will indulge in your favorite foods guilt free because this will prevent you from binging later on by giving you more control over your choices. Portion control and counting calories might seem complicated at first, even though you might be very dedicated when it comes to using visual cues to be able to get the right portions. However, automatizing this habit can be a lot simpler if you do a small change. You can automatically eat less if you switch a 10' plate with a 9' one. You are more likely to eat less because your portions will look bigger and you won't even feel like you are depriving yourself. Also it might be useful to think about the color of your plates. A group of researches found that people who eat from blue plates are likely to consume less than those who used plates in other colors. While most of us think that organizing is about planning our meals ahead of time, there's another aspect of this idea that is often overlooked: the way your organize your kitchen can work in your favor or it can or it can sabotage your efforts. Arranging your kitchen in a way that makes it easier for you to make the right choices is one of the most powerful ways to reduce temptations and increase the chances of making better choices. In your pantry try to place healthy food in the front to make them more visible and to make unhealthy food harder to reach. In your fridge use clear containers for the foods that you should be eating more of and opaque container s for less healthy food for the same reasons. It's easy to fall in all kinds of diet traps when we are looking for shortcuts. Whether we are tempted to think that low-calorie snacks are a free pass for eating more or we think that a diet soft drink will not affect our waistline decisively, it's extremely easy to adopt misguided idea that sound convenient. While we cannot expect to be able to make perfect choices every single time, it's important to be honest with ourselves and to avoid rationalizing a mediocre choices. Aside from making sure that your choices are based on accurate information you should also try to remove obstacles that might cause you to go off track. Keep in mind that forming a habit lasts approximately 21 days and if you manage to stay on track for this long things will become a lot easier.